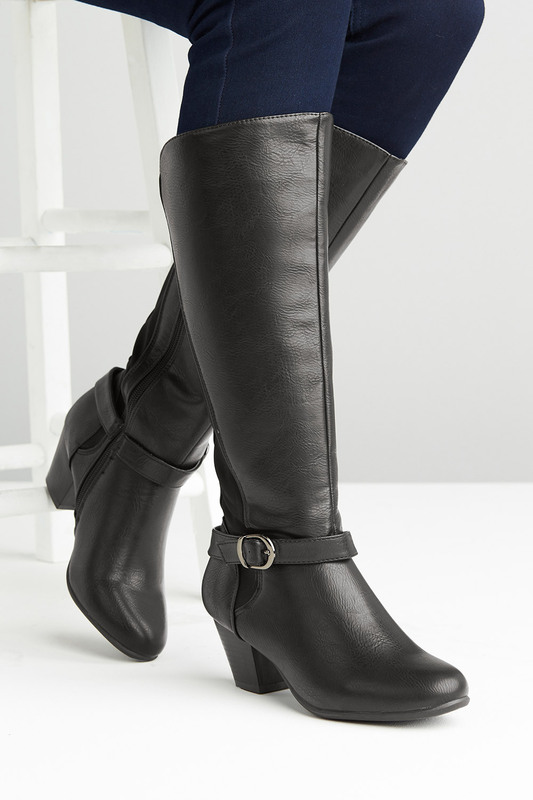 Beat the winter weather with these sturdy and stylish knee-high boots, which are web exclusives from the Comfort Plus range. 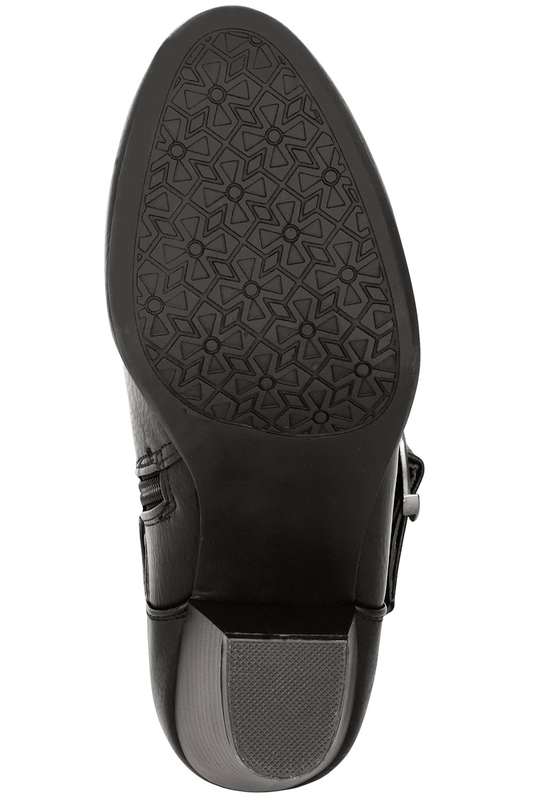 With their low, 5.8cm block heel and round-toe design, they are comfortable to wear. 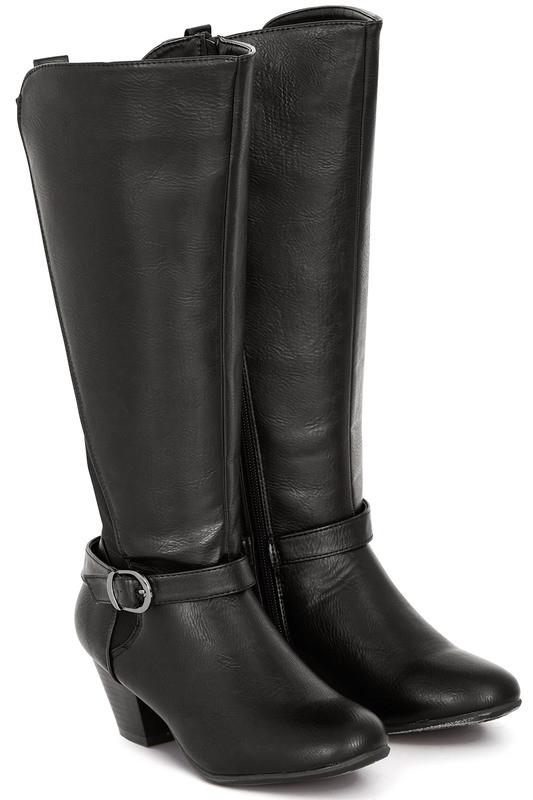 The matte leather look makes them ideal for every day, and they are finished with a subtle buckle detail at the ankle. 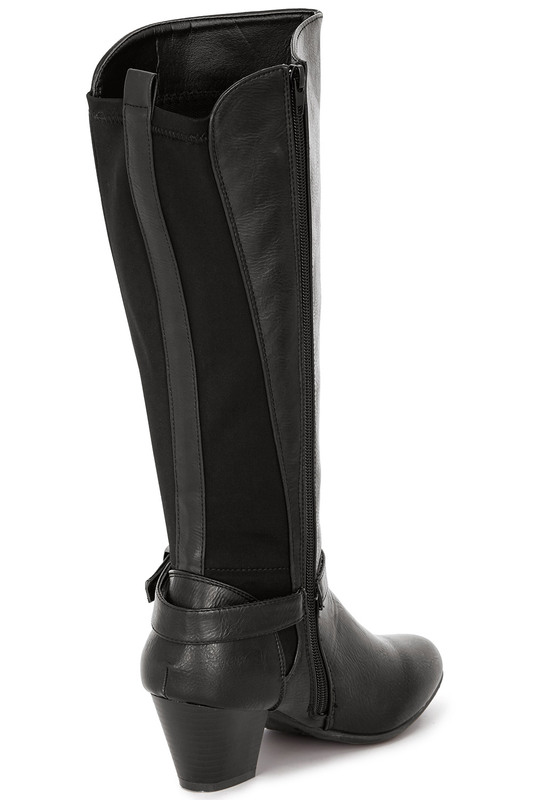 Featuring a full-length zip fastening and an elasticated panel for extra stretch, these boots are easy to slip on.